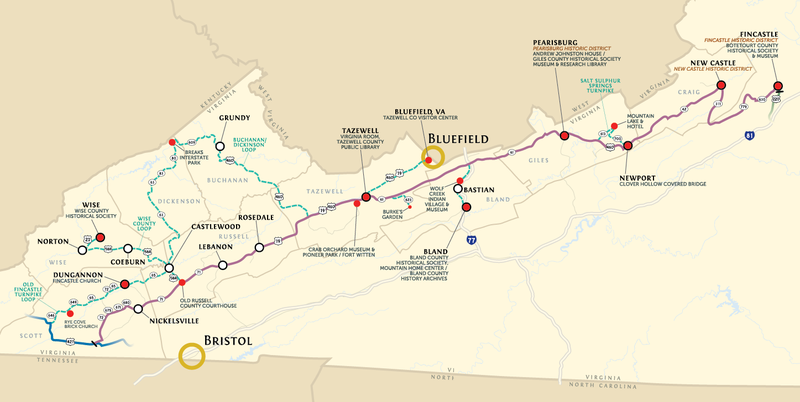 The Fincastle Turnpike and the James River and Kanawha Canal transformed the commercial and transportation patterns of western Virginia after 1830. The Prices Turnpike and Cumberland Gap Road (popularly known as the Fincastle Turnpike) was authorized by the legislature in 1831, the same year as the James River and Kanawha Canal. 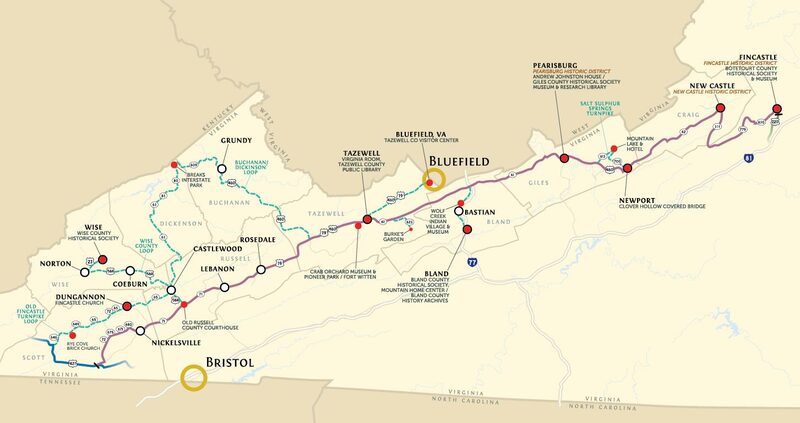 Produce brought along these new routes bypassed the Great Road and resulted in towns like Newcastle, Pearisburg, Bluefield, Tazewell, and Lebanon along the way. The area was the scene of many bloody confrontations between settlers and Indians. Today, the scenic route of the Fincastle Turnpike gives access to the beautiful valleys that parallel the West Virginia line and the state’s valuable coal fields. It abounds in recreational and historical opportunities. 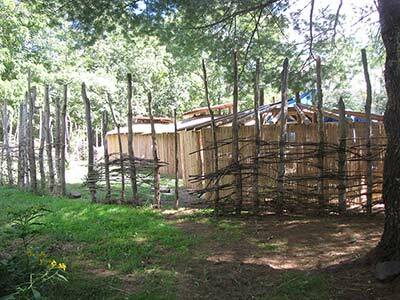 New Castle, Virginia · An outpost called “Craig’s Camp” was established here and visited by Col. George Washington in 1756 as he toured the frontier. This settlement, first called “Newfincastle,” became the county seat when Craig County was formed in 1851 from parts of six neighboring counties. 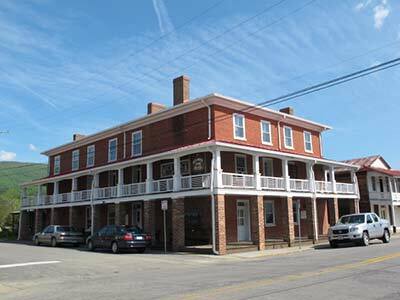 The New Castle Historic District includes the Jeffersonian-style courthouse and the nearby Old Brick Hotel Museum. 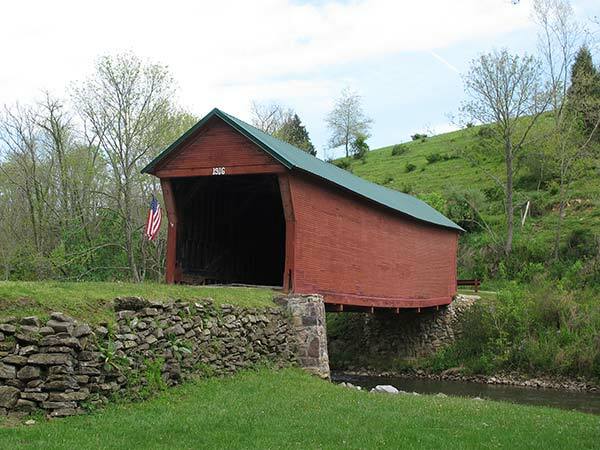 This small Burr-type covered bridge, built in 1916, is one of three surviving in the immediate vicinity of the village of Newport. Like the others, it is sided with horizontal weatherboards and supported by stone abutments. The town of Newport began in the early nineteenth century as an industrial center exploiting the abundant water resources available on the Greenbrier Branch in eastern Giles County. This remarkable stone courthouse was built in 1799 by Henry Dickenson. 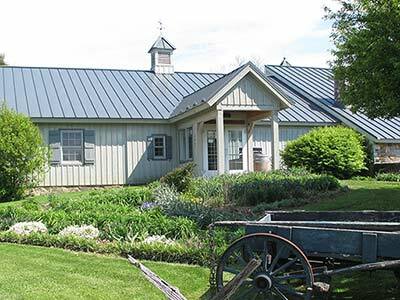 It replaced a log courthouse that was burned during the Revolutionary War. A brick wing was added to the stone structure by the Robert Dickenson family between 1830 and 1850. 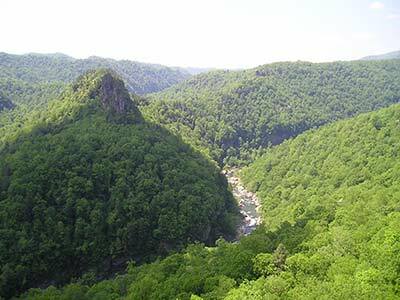 180 million years ago, the Russell Fork River began cutting a deep gorge through Pine Mountain between Virginia and Kentucky. Daniel Boone, his brother Squire, and Daniel Hill traveled through the Sandy Basin searching for a route to Kentucky and the Ohio River Valley in 1767. They found the gorge and named it “the Breaks”—the only passage through a 125-mile long stretch of impassable mountains. The gorge is home to rare plants such as fractal ferns, galax, colts foot, tea berries, and a profusion of fungi and moss species. 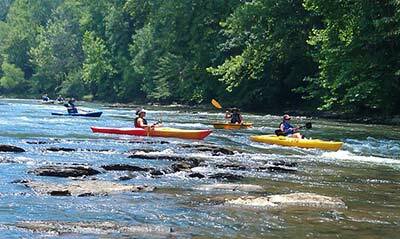 The park, which caters to bikers, rafters, and horseback riders, spans the boundaries of Virginia and Kentucky. The Cumberland Gap Road (known as the Fincastle Turnpike), authorized in 1831, was designed to give local farmers access to distant markets. Fincastle Church on Longhollow Road was originally constructed in Dungannon near the turnpike in 1876 by Samuel and Martha Blackwell. Rye Cove Brick Church was built in 1858 near Duffield. The rock retaining walls along the road in Rye Cove are said to have been built by enslaved African-American workers as part of the Fincastle Turnpike.